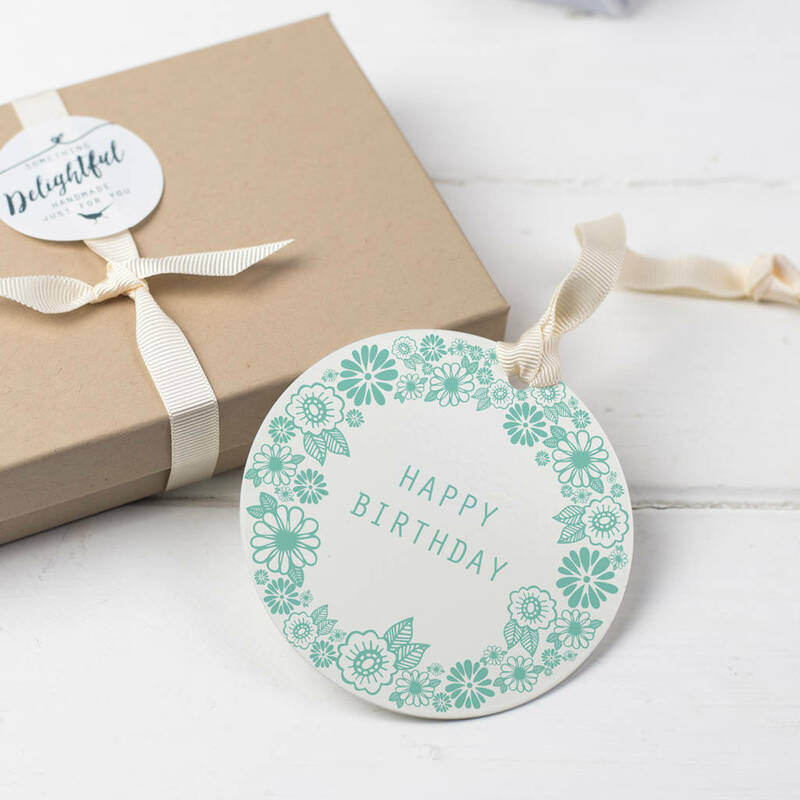 This personalised keepsake gift makes a delightful message token for a birthday, mother's day or valentines. 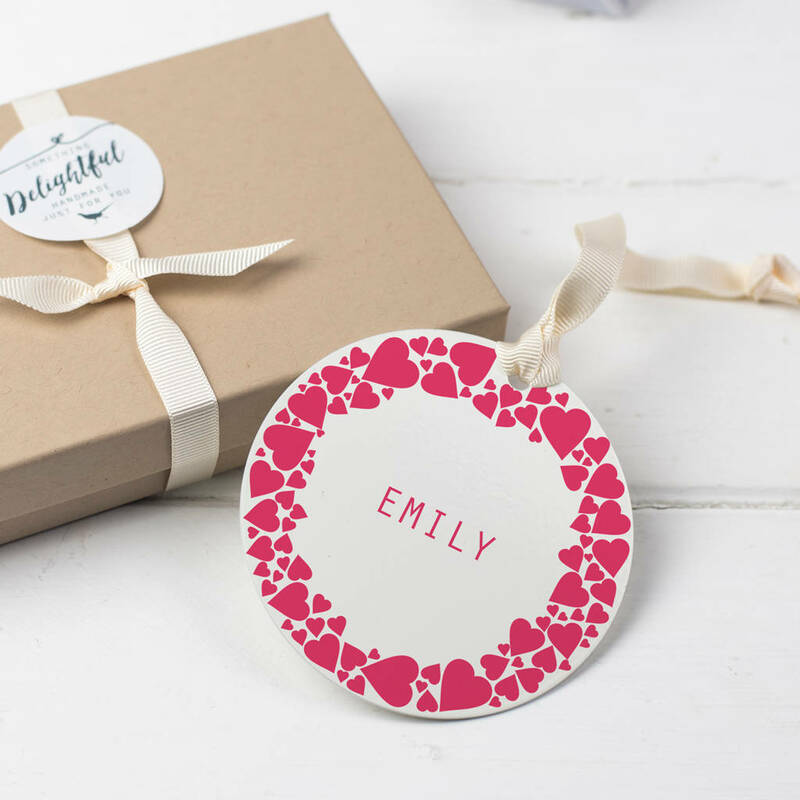 This personalised keepsake makes a lovely card alternative. 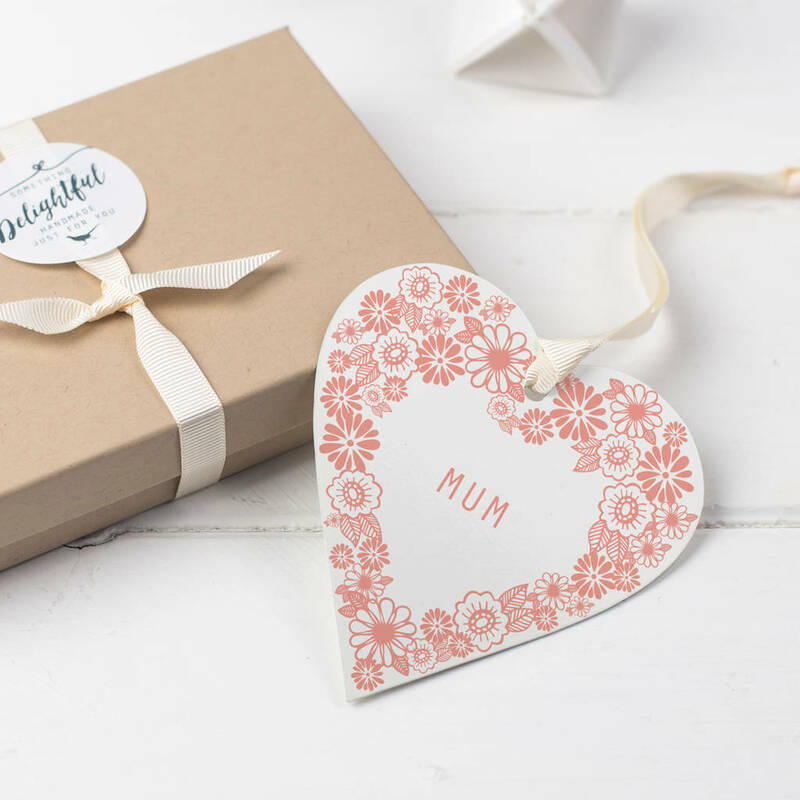 Perfect for mother's day, a birthday, christening, wedding or anniversary. 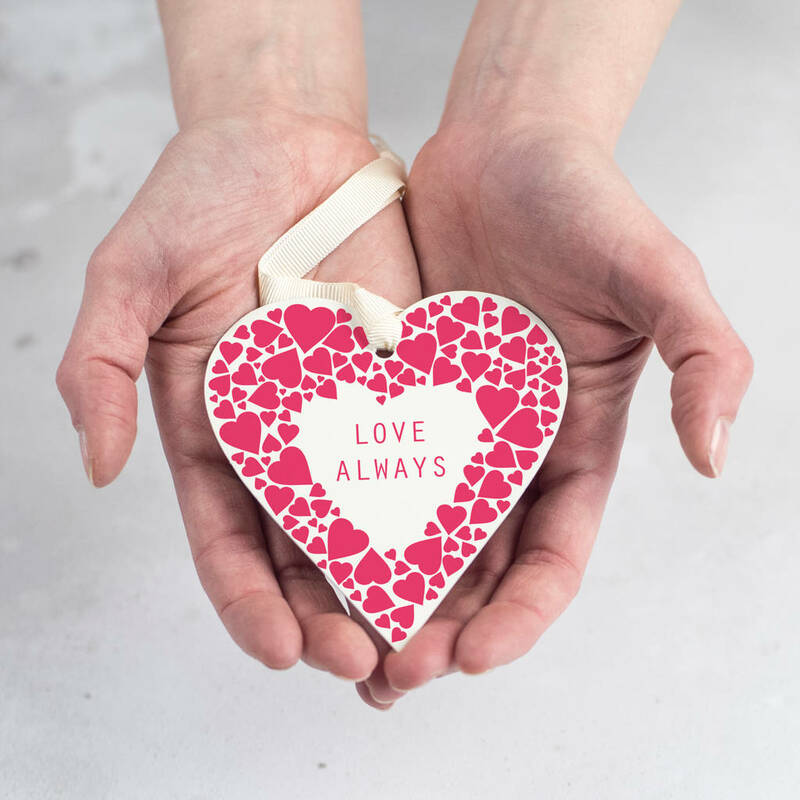 Our delightful personalised hanging decoration is made from metal and is designed and manufactured in England. A personalised keepsake gift makes a great message token to give to someone special. 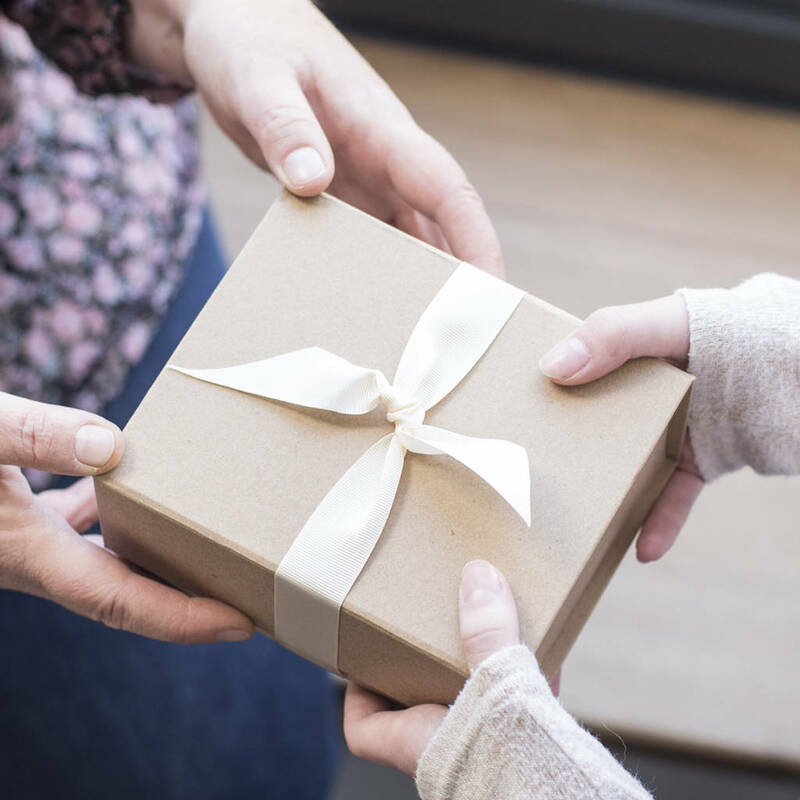 It is presented in a gift box and hung on a good quality cream ribbon ready to display around the home. Choose from a range of 16 colours for your design to be printed in. 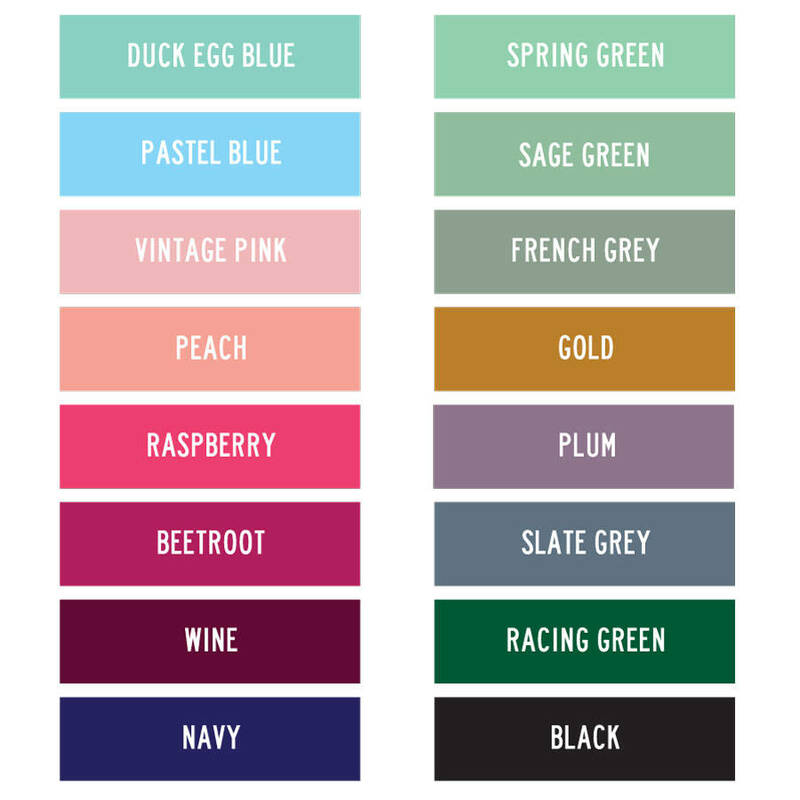 Please look at the image of the colour palette to help you decide. The background of the heart will always be cream. Choose from a disc shape or a heart shape. The wording on the front has more impact if shorter, such as 'Perfect Mummy'. We position this within a decorative border design made up of hearts or flowers - select which style you prefer when ordering. 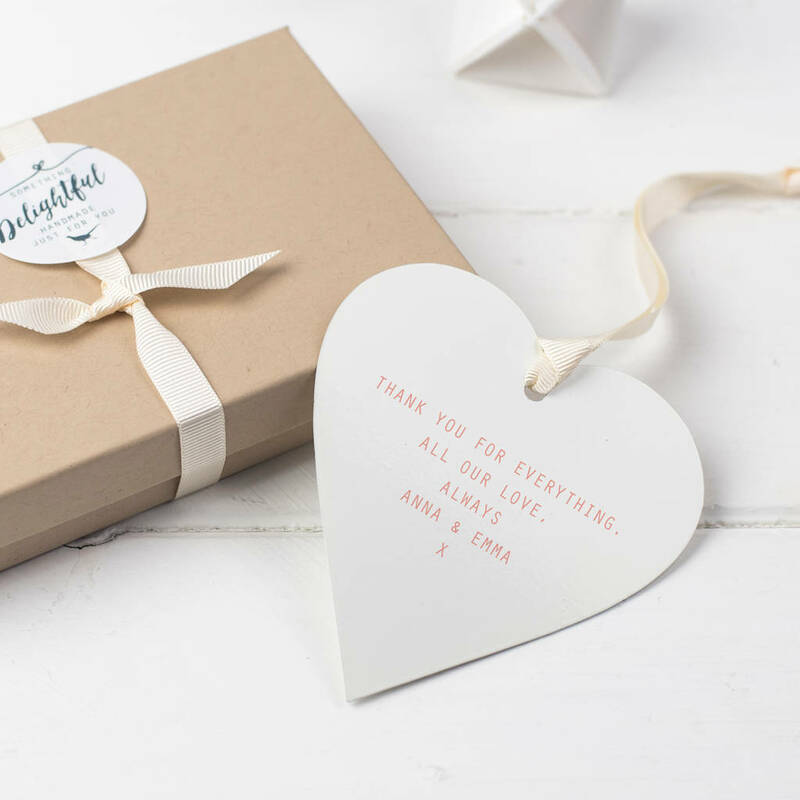 The back of the keepsake is plain and we can print a longer message here. Laser cut in the UK from coated metal and printed at our Derbyshire studio with UV ink. Metal heart: H 95mm x W 87mm x D 1mm. About the size of a coaster. Disc: 80mm diameter, 1mm thick.